Overloud has announced TH1, a new virtual guitar amp plug-in based on 4th-generation technology that "boasts unique features not found in other virtual amplifiers". 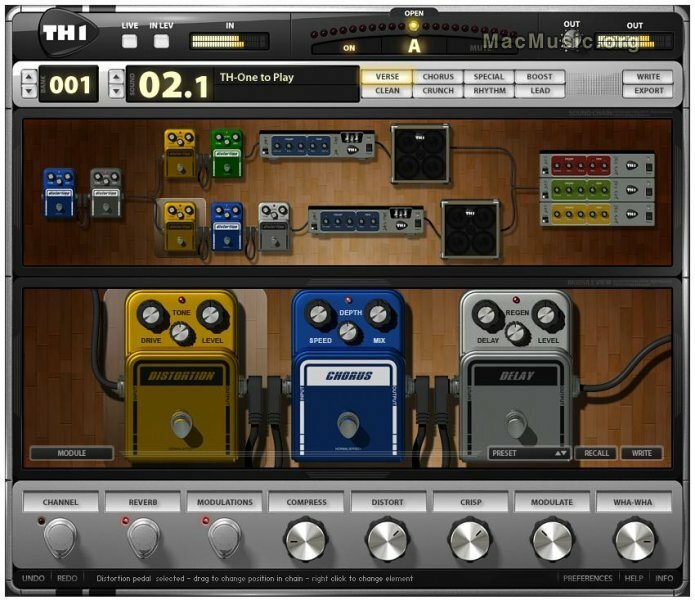 Modeled after a wide variety of amplifiers, one of the most unusual TH1 features is its ability to "morph" between amps, so the guitar player can "build" his own personal amp. TH1's Smart Control strip is a row of 8 soft buttons, pots and switches controlling the vital parameters of the current sound. The logic beneath these devices allows the user to control more than one parameter at once. The Smart Control strip and Preset Selection can also be controlled by host automation and MIDI control. - 15 Amps, 15 cabinets, 15 mics. - 3D-positioning of mics around guitar cabinets and in the room. - At-a-glance photographic view of the signal chain. - MIDI pedal board support. - User-oriented amp channel switching. - Tons of ready-to-use sounds with up to 8 variations made to fit different song sections, or a full set. TH1 will be released in Q2 of 2008. Dec 14, 2010 Overloud TH2 Christmas Price!